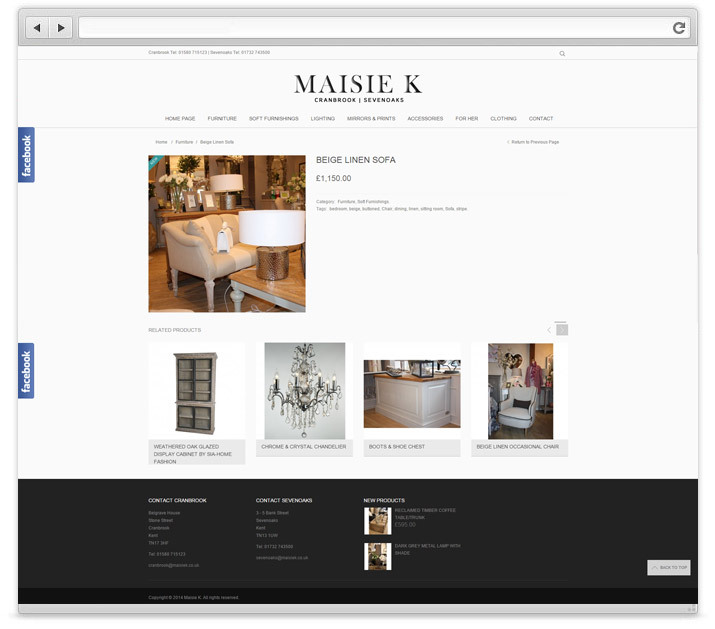 Maisie K was established in the summer of 2004. Set in a the quaint, idyllic towns of Cranbrook and Sevenoaks where our delightful rambling emporium is imaginatively stocked with home interiors, furniture and gorgeous gifts and goodies. 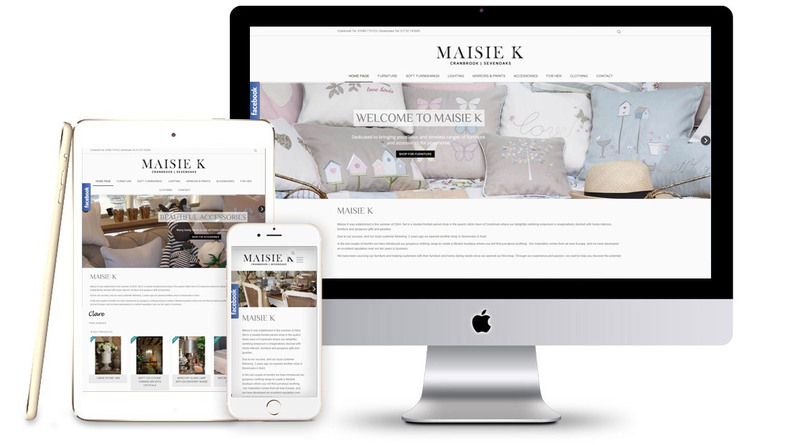 Maisie K is a well established shop selling beautiful items for your home. Due to their recent success the shop has now expanded to a range of locations and therefore required a website to showcase its stock.